I spend a majority of my design time in the program Unity although I do delve into Unreal on occassion. In Unity I've already directly linked my Maya so that transferring designs, textures, and animations is so much easier. My specialty is in level design and positioning. I am extremely passsionate about telling a story even if just from the enviroment. My recording camera is a Everio JVC FullHD that I use in juncture with both Adobe Premiere Pro as well as Filmora for my videography projects. I've recently been in a swing of creating music videos out of CC / Royalty free songs to see what stories I can tell or emotions I can bring to the surface. 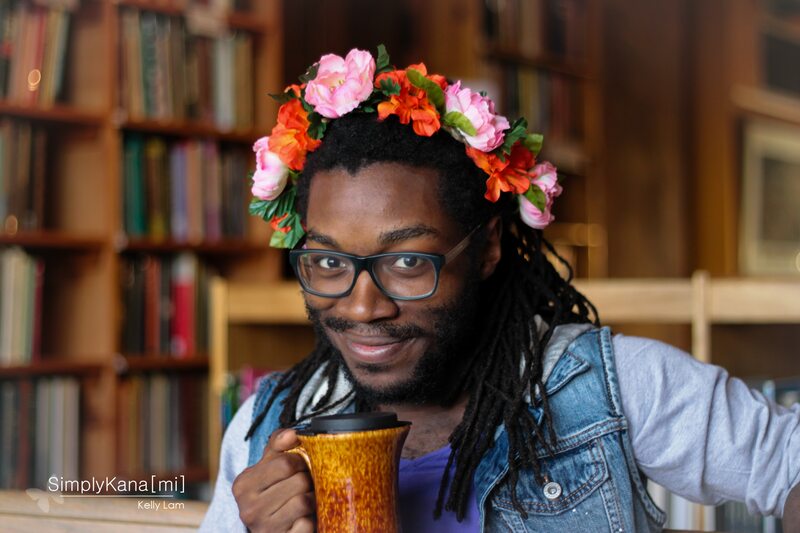 Currently working with a Blue Snowball microphone and editing my audio inside of Audacity, I record a podcast called Unicorn Chat at Podbean focused around positivity and growth, as well as am looking to involve myself in more work. I recently accepted the voicing of Trey in the upomcing game The Office Type! The majority of my modeling experience in done inside of Maya (2018). My prime focus is structural design of buildings or houses but I also do objects and occassionally weapons as well. There are a few examples of my work below and in the 3D section of my page if you are interested in seeing more references. My focus on structures and buildings is just because of the passion I have related to level design. I love to be able to tell a story from a place. An avid writer, after being the lead writing for my roleplaying game, as well as an often Game Master / Dungeon Master running and writing up sessions. Strongly interested in positions as a script engineer but also in writing related to social media. My twitter is mainly used for gaming related news or interest but also a frequent reminder of success as always a possibility. I enjoy to be able to create and manage a community. WHAT AM I CURRENTLY PLAYING ? Overwatch (Planning a Lucio Cosplay) . The first two dates between Callo and Lynn have been implemented into the demo and will be uploaded in the next week or two! Tahuun has their story written up, the character sprites for Siobhan and Stendra are on track. It has been a good month so far for Hidden Treasures! 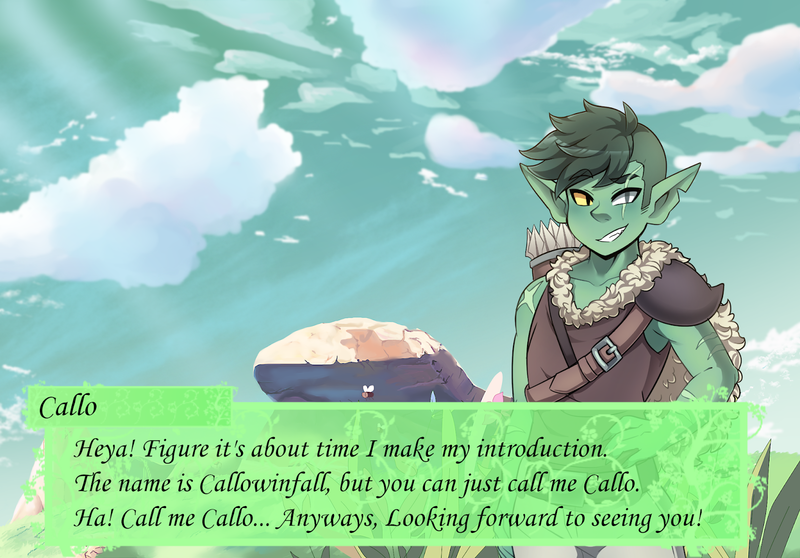 The goblin dating sim is truly coming together! These are three of the main characters that are introduced in the later points of the demo but I'm genuinely so excited that it has come this far in the few months we've been developing! First off Happy New Year, the new year is going to hold a bunch of new and exciting things. With this new year we are finishing up the input for the fourth hand book inside of the source code game series, The Creature Compodium that has different creatures and characters to include into your game sessions!! It will distinctly make it easier for new dungeon Master's or game Masters to run game sessions without having to create the characters from scratch. then we also have input with hidden treasures, are goblin dating Sim game. We have a definitive basis for the eighth dateable characters as well as we have concept art for all of them as well! The concept art will be revealed over the next few months but we are going to have a running demo available on Valentine's Day this year that will showcase two out of the eight characters as well as give you an opportunity to go on the first date and really get to know some of the backstory behind them. I do have to say it has been such a new interesting thing going from managing a team of three to managing a team of nine but it has been such a pleasant and enlightening experience that I cannot wait to see what we do next. The majority of the writing has been between another writer and I but the art team that has five different people have really helped with adding in the creativity that helps to get all of these ideas together. I can't wait to get this into the hands of all of you and I am so thankful for the continuous support! Here is to an amazing year! After Christmas is always a busy time but it also means time to really get back into the swing of things! I've put together a little schedule for myself and also picked up a small planner (because adulting) but I'm excited to see what comes next! There's an update on the Goblin game that if you haven't seen it you can check out here and having a Valentine's day demo release is entirely on brand with our particular type of cheesy. Then we've got the S0urce C0de book we're finishing up and so much more. Here's to a great year! We are officially starting the busy season! The first dev diary is available on my youtube page and I've spoke with both the S0urce C0de RPG team and the Team for the Visual Novel. The art is slowly coming together at a decent pace and we're looking at expanding our writing team to more people. The last couple days I've spent putting together the GDD and I have to say it is both a stressful and exciting thing to do! Development never ends! Remember I said staying busy was the aim? Well I absolutely can show you it has been happening. The first character sprite is finished and the second one is already on the way. The background scenes have been started and over 30 of the scenes have been roughly outlined with different transitions and choices. Slowly but surely. Are you ready to date green? That aside, the progress on the S0urce C0de RPG book is moving forward really well. With a launch of the "pay what you want" anniversary event we've made some decent sales but have reached over 40+ Downloads! The community is growing and that is one of the most important things! Welcome to my world of design and entertainment.